The Kona trucks aren’t just trucks, they’re Kona Entertainment Vehicles. It perfectly describes what they are all about! 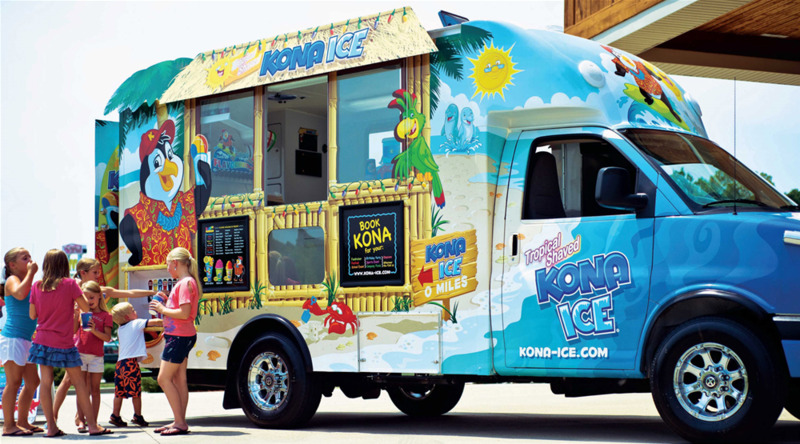 Their shaved ice trucks scream fun and excitement from the shiny chrome wheels, the colorful characters and the tropical steel drum music that whisks you away to a tropical paradise. Does it get any better? Why yes it does! It’s now time to visit the very best feature on our KEV - our patented Flavorwave. The Flavorwave is a row of do-it-yourself spigots that dispense our top 10 most popular flavors!